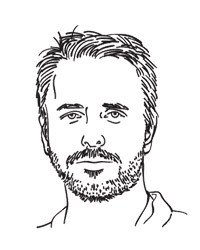 Iconoclastic restaurant pro Jason Hammel (Chef and Owner of Lula Cafe, Chicago) questions conventional wisdom to push the dining scene forward. Why should we expect recipes to turn out the same every time? I had a grandmother who could really bake. Her lard-soft pumpkin cookies would greet me at the door, always tasting exactly the same. But their consistency didn’t become a marvel until she died, and I was left to my own devices with a recipe on an index card. Not one of my batches tasted the way I remembered. I soon realized that the recipe alone would never bring back a flavor I had lost. And it got me thinking about my life as a chef. Were recipes necessary? In my kitchens, hcooks always carry a notebook with them. Inside are lists of ingredients, reading like poetry: Leeks, melted/Riesling/goat butter/chopped dill. These become sauces and vinaigrettes. They are guides and inspirations, meant to be explored. Following a chef’s vision is what teaches young cooks to taste and learn and interact with ingredients. An over-wintered leek will not behave the same as a hot summer leek; it won’t need the same amount of wine, butter or dill. Instead of writing down measurements, we should teach how to explore the craft of cooking with our senses. When I imagine my cookbook, I see words and images, not cups and ounces. I would write my grandmother’s cookie recipe this way: Creamed sugar and lard/1 small can pumpkin, 3 eggs, some nutmeg/A simple frosting/Lined in parchment in a red Tupperware container almost out of reach/Sun coming in from a mountain road/The cookies baked gently, remaining soft, so that they stick to your fingers and you haveto lick them off, one by one.